Challenge your group to a spot of Archery and find out which group member has the sharpest aim and can notch up the most amount of points. There's nothing quite like hitting the bullseye, right? Go on give it a shot and book Archery for your Team Away Day in Scotland today! 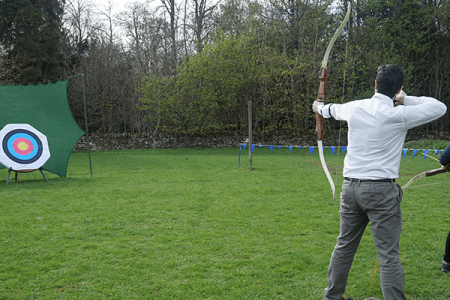 Archery is a great activity to pair up with a Mini Highland Games and Air Rifle Shooting for an action-packed adventure day for the whole team.